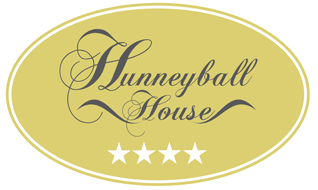 No visit to Hunneyball House is complete without a wine tasting experience. Instead of R 1,470 you enjoy the same tour option for only R 980 per person! Minimum two people. This tour introduces young and old wine making styles across the spectrum from light crisp flavours to complex robust red blends. Includes tasting fees, collection and drop off and certified private tourist guide. Your guide is a CATHSSETA National Tourist Guide certified to guide for Culture and Nature. He is a Cape Wine Academy graduate, garagiste winemaker and member of the South African Sommeliers Association with great interest in sharing his knowledge of all aspects of wine enjoyment and production. He has the required Professional Driver’s License, Public Transport Permits and insurances to carry tourists. He is a Western Cape bird enthusiast and keen photographer. You can ask him what you like. Hunneyball House in what is probably the world's most beautiful winelands with dramatic, expansive vistas of mountains, vineyards and ocean. There are over 400 wineries in the Cape and our winelands tours concentrate on the wine growing areas of Stellenbosch, Paarl and Franschhoek. Our tours are done at a leisurely pace with a focus on your enjoyment, learning and relaxation.